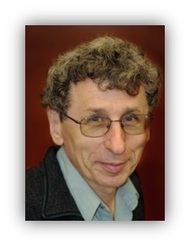 Professor Victor Flambaum, head of the Department of Theoretical Physics at the University of New South Wales in Australia, has been appointed a new fellow of the Gutenberg Research College (GRC). He took up a post in late May 2016 at the Helmholtz Institute Mainz (HIM) and the Institute of Physics at Johannes Gutenberg University Mainz (JGU), where he will be putting together a small research team over the coming years. Flambaum is one of the leading authorities in the field of theoretical physics and he is well known for his successful collaborations with experimental groups and projects. In recent years he has also formed close contacts with various departments at Mainz University. Over the next three years he will be spending three months each year at the Helmholtz Institute Mainz. Two doctoral candidates will be working alongside Flambaum in the new HIM building on the Gutenberg Campus. "Victor Flambaum is certainly one of the most creative minds in theoretical physics," said Professor Matthias Neubert, Director of the GRC. "He always tries to work very close to the experiment, which is rather unusual for theoretical physicists and a stroke of good luck for Mainz University," added Neubert, himself Professor of Theoretical High-Energy Physics at JGU. Flambaum's close work with experimental groups opens up superb opportunities for the scientists in Mainz, both at JGU's Institutes of Physics and of Nuclear Physics as well as at the Helmholtz Institute Mainz. In particular, he will be collaborating with Dmitry Budker, Professor of Experimental Atomic Physics at JGU and HIM section leader of the Symmetry of Matter and Antimatter group, in the search for the origins of dark matter. Other tie-ins include research at the Mainz Microtron particle accelerator (MAMI), cooperation with the work groups QUANTUM, ETAP, the LARISSA group, and the theory group at the Institute of Nuclear Physics. Flambaum's fellowship is expected to give great impetus to the further development of the PRISMA Cluster of Excellence and to strengthen the appeal of the science hub of Mainz as an even more attractive destination for students and doctoral candidates from all around the world.